The Passy Mont Blanc nature reserve sums up the history of the Haute-Savoie mountains. Discover a fauna and flora preserved in sumptuous landscapes with views of Mont Blanc. 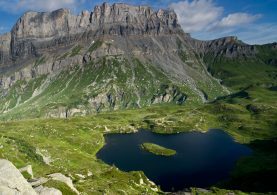 The nature reserves of Haute-Savoie are protected and regulated natural areas.Dogs even on a leash are forbidden. The movement of motor vehicles is prohibited. Picking, camping, fires are prohibited. At the entrance of each nature reserve a specific markup reminder regulation. If you have any questions, do not hesitate to contact ASTERS. The young cliffs of the Fiz dominate the grasses of old Pormenaz, the formidable push of the Alps opposing their natures limestone and siliceous. From this mineralogical contrast is born diversities of environments (lawns, heaths, wetlands) and alpine species (eagles, ibex …). Herds of cows and sheep maintain altitude pastures. The opposition of wet and dry environments generates an exceptional floristic richness. Hoverflies – flies – are valuable indicators for scientists. The comparison of the number and type of hoverfly species before and after the brush clearing operations in Pormenaz makes it possible to assess the state of biodiversity. 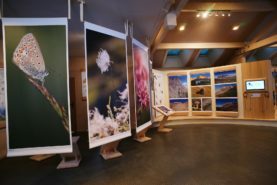 The house of the nature reserve of Passy located in Plaine-Joux offers you an exhibition to give to see all the richness of the natural environments.